I’m on the plane flying home to Philadelphia after three thought provoking days on the Millennial Trains Project from Denver to Milwaukee, organized by the incomparable Patrick Dowd and his amazing team. This was my first overnight in a tiny train car, which rocked me to sleep — and kept rocking after we got off to explore each day. It was my second time mentoring on the train alongside 25 young social entrepreneurs from around the world. So what was my key takeaway? I’m overwhelmingly hopeful. That’s the feeling I have after spending 72 hours with this diverse group (hailing from places like Miami, Kuwait, Boston, Milwaukee, and my hometown, Philadelphia) with varying educational, ethnic, and economic backgrounds. If this group represents just one percent of the Millennial generation, founders of for-profit and non-profit businesses, our future is in great hands. These were some of the most selfless change makers I’ve ever encountered. Education was top of mind. As was equality for those who didn’t have the good fortune to ride the train. They pushed for answers from elected officials — deep answers that go far back into the history of the cities they visited. They discussed race and segregation openly. Most important, they wanted to take action and started to document their findings in many ways, individually and as a unified voice, to eventually share with elected officials and influencers. 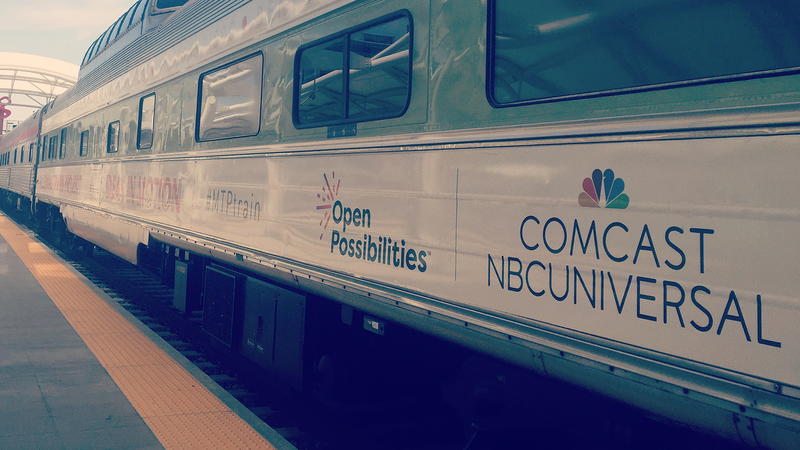 I just can’t express the gratitude I have for Comcast NBCUniversal for supporting this journey as a lead sponsor and for giving me the opportunity to ride along for the second year. And kudos to the wise-beyond-their-years Millennial Trains Project team for the ability to curate experiences and tough dialogues that many people avoid. I do wish everyone could hop on the train at some point, but for now we’ve tried to document as much as possible. You can learn more about the MTP at millennialtrainproject.com and check out my first vlog posts on just some of the amazing participants here.